So you just registered for one of the largest online social networking sites and you have a blank, boring page. 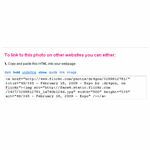 Here is a simple tutorial on placing images and photos on your MySpace profile. MySpace is one of the largest online social networking sites filled with many individuals, radio and TV personalities, movie stars, bands and companies. To stand out amongst the hundreds of millions of accounts on MySpace, you are going to need some nice pictures to jazz up your profile! It is very simple, let's get started! To put pictures and images on MySpace, you could use the pictures section to upload pictures, but then they will not all be displayed on the front page. To get around this, we will work some web and HTML magic. For the images to be displayed on the internet, they first have to be hosted on the internet. The two best places to host your pictures are Photobucket and Flickr. Each has various limitations for sizes, but they will be more than big enough for your profile. They both allow you to easily cut and paste the correct HTML code to your MySpace profile for easy sharing. It doesn’t get any simpler than this! 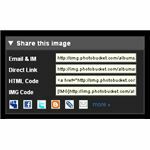 After creating a free account and uploading your image, click on the picture you would like to link to. Look for the section pictured on the right. Click in the HTML text area, highlight the entire code, right click, select copy, and go to your MySpace profile and paste it in the area you would like it to appear in (right click, paste to paste). After creating a free Flickr account and uploading your image, find the picture you would like to link to and click the all sizes button (found at the top of the picture). Then scroll down and find the text field “Copy and paste this HTML into your webpage" (pictured at the right). In the same manner, highlight the entire field, right click, copy, navigate to your MySpace profile and right click in the chosen area and select paste. Both of these photo sharing sites will allow you to upload your picture from your computer to the internet and paste the correct code in your MySpace profile to correctly display any image. The good thing with Flickr is that it will automatically generate various sizes to choose from when you click the “All Sizes" button. With Photobucket, if you choose to resize a picture, there is no preview of the final size and the changes are permanent. 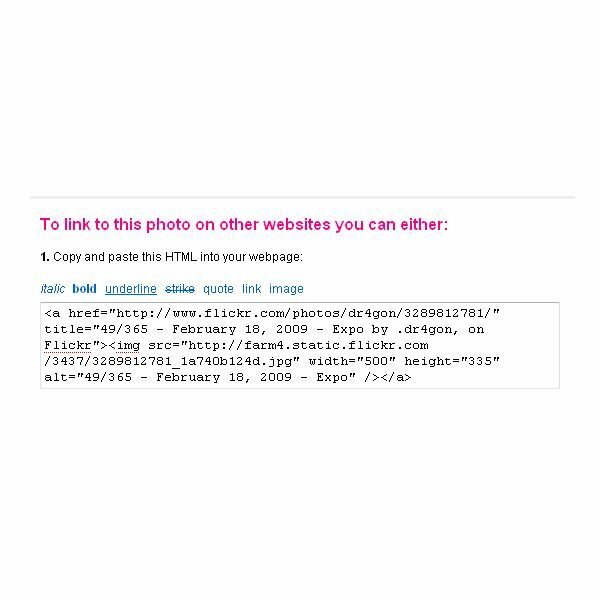 To put multiple images, repeat these steps and paste the HTML codes next to each other in the “Edit Profile" page of MySpace to display them all at once. As we’ve seen today, it is extremely easy to put pictures and images on your MySpace profile. Once you have pasted the code and saved the page, always go back to preview the changes and make sure everything looks right to you.